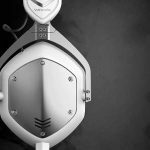 Home » Headphones » Best Wireless Headphones, how to pick? Best Wireless Headphones, how to pick? 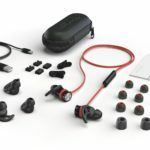 When you’re looking for the best wireless headphones out there, you should take a few things into consideration prior to making your purchase. Not only will this spare you the risk of buying subpar headphones, but it will also allow you to make easier, informed decisions on which models or types of wireless headphones to buy. The first thing you need to know is that generally speaking, wireless headphones work on Bluetooth technology. That’s the way through which the headphones receive the audio information they then relay to your ears, but there’s a caveat to not having to deal with wires – a downgrade in sound quality compared to regular wired headphones. Surely enough though, this slight drop in quality is nothing your average user will ever notice. The technologies like aptX Bluetooth make a huge different quality-wise. When looking for the best wireless headphones out there, you might also consider the distance they can support too, depending on your specific needs. Some sport only a few yards, while others can play your favorite music upwards of 30 feet away from your device, granted there’s no interference along the way. With technology advancing at an increasingly rapid pace, also options for those of you who need just a bit more than your simple, regular wireless headphones. 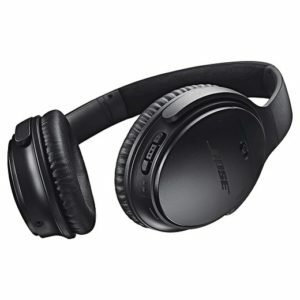 To that end, there are models available nowadays that also have noise-cancelling technology included in the wireless set. If you work in a loud area, or just need some peace and quiet every so often, the noise cancellation technology can provide you with just that. Other models also have a wire included, and this may come in handy if you’re looking for better quality sound or just don’t need the wireless capability at that certain point in time. Furthermore, there’s a lot that can cause interference with the Bluetooth signal so having a wire can really open up a lot more options for headphone use. Last, but not least, when looking for the best wireless headphones out there, consider battery life and connectivity. Some smartphone makers are ditching the headphone jack altogether and in those cases, it might be a good idea to go for the wireless variant instead, so you could still charge your phone on the go while listening to your favorite tunes or podcasts. 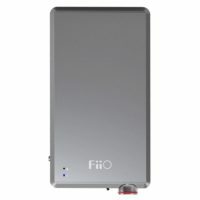 Regarding battery life, just make sure to check how long a full charge will last you and make the decision based on whether or not that time would be enough to get you covered. 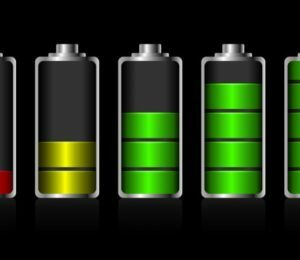 Some models will come with bigger, better batteries, so if play time is really important to you, then you might want to go for these models instead. 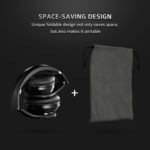 Greatly convenient, amazing at saving up a lot of space and immensely practical for people on the go, wireless headphones have certainly come a long way. But that also means you get more options – and now you know which of them you ought to take advantage of.